Have you ever wanted to research and publish on the effectiveness of your program or teaching? Do you have feedback and materials for such a study but don’t know where to begin? 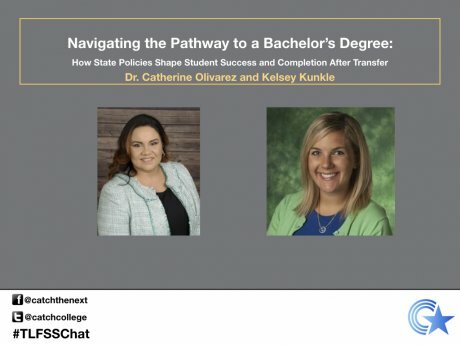 If so, then the September Teaching and Learning for Student Success webinar is for you. Please join us on Thursday, September 20th at 3:00pm CST / 2:00pm MST for “Designing and Implementing Qualitative Research” with Dr. Dora Elias McAllister. Dr. Elias McAllister’s presentation will introduce participants to basic qualitative research principles, explain different types of qualitative research, and then show participants how exactly to “do” qualitative research and assessment by discussing “real world” examples from her school and work experiences. This is the first in a two-part series on designing and publishing qualitative research. The second part, “The Importance of Writing Skills for Qualitative Research” will take place in May 2019. Dr. Dora Elias McAllister has over 15 years of college, university, and nonprofit experience. Most recently she worked as an independent consultant, providing technical assistance, consulting, and training services to individuals and organizations in higher education. She has a particular expertise in improving projects and programs by planning, conducting, and reporting the results of program assessments/evaluations and research studies. Prior to consulting, Dr. Elias McAllister was the Director of Grant Programs at the American Dental Education Association (ADEA) in Washington, DC, where she worked with ADEA grant directors to assess, manage, and implement diversity-related, grant-funded programs. Dr. Elias McAllister is the author, coauthor, or editor of several qualitative and mixed methods manuscripts, publications, and presentations on topics related to higher education, including A Multi-group Latent Growth Model of the Gender Gap in Math Achievement: Evidence from Chile; Ready Texas Qualitative Study of New Graduation Requirements; and The Student Perspective of Diversity at Academic Dental Institutions. She received her Ph.D. in Higher Education Policy from the University of Maryland, College Park. Her dissertation utilized a qualitative case study methodology to describe and analyze the process through which a group of Mexican American first-generation college students made decisions about whether and where to go to college. Dr. Elias McAllister is based in Austin, TX. In 2015, she founded TX Higher Ed News (Twitter: @txhigherednews), to keep other Texas practitioners and faculty up-to-date on the latest information about postsecondary education in Texas.